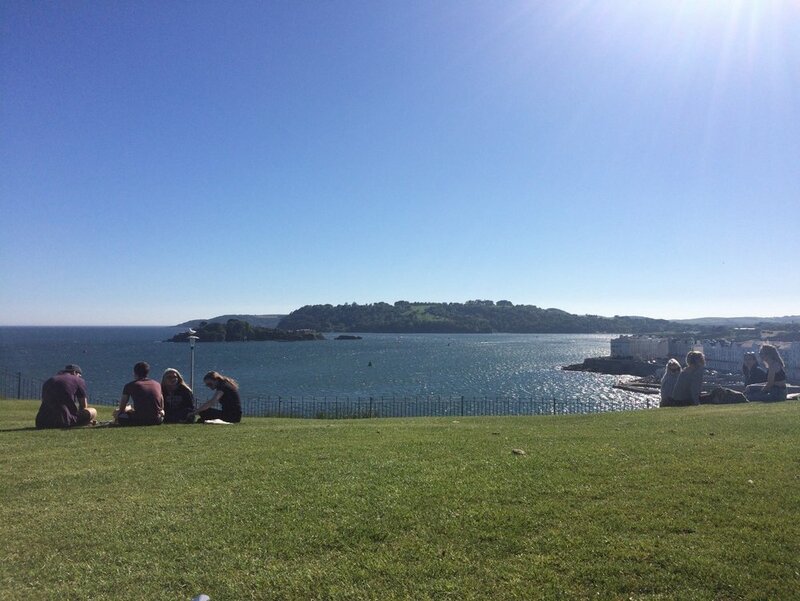 ðŸŒ¸ Best places to go in Plymouth? Probably one of the most obvious attractions, and arguably beautiful all year round, the Hoe is definitely the place to be in the summer. Last year, we came here for a BBQ â€“ we just bought a Â£5 disposable BBQ and lots of food â€“ and had such a nice, relaxed afternoon. So many students come here to do the same on a sunny day, which gives the Hoe a really nice atmosphere. Iâ€™m a huge fan of charity shops and second-hand book shops, and the Barbican is great for both of these things. Particularly, in one of the arcades there is a book shop that you enter through a Chinese cafÃ© â€“itâ€™s definitely a hidden gem! Every time Iâ€™ve been to this book shop it has been buy one get one free on books, so itâ€™s definitely worth checking out. There are plenty of nice places to eat here too, especially the fish and chips restaurants! Royal William Yard is a historic military building that dates back to 1825. I am lucky enough to have this as my work place, as this where our second and third year studios are located (Iâ€™m taking BA (Hons) Fine Art and Art History in case this is the first blog of mine youâ€™ve read). You can catch the 34A bus (around Â£3 return, but we get free bus passes from our course) from Royal Parade, and it only takes about 10 minutes. There are lots of nice restaurants and bars here too, from Seco Lounge for nice cocktails, to well-known places like Wagamama's. The views are just beautiful, and there's tonnes of art to see. Ocean Studios (where this picture on the right was taken) encompasses many different artistâ€™s studios and displays some of their work. Definitely take a look if youâ€™re interested! This week, my friend and I went to Royal William Yard and got the â€˜Cremyll Ferryâ€™ (Â£1.50 each way) to Mount Edgecumbe. The house itself was Â£5 entry, and worth seeing if youâ€™re into heritage houses. It is also worth a trip to just look around the little island and have a picnic on the beach. Unfortunately, with the luck of Plymouth weather, it was rainingâ€¦ but nonetheless would recommend it as something to do! On a more summery day it would be perfect. When my friends suggested going to the cinema last year, I was reluctant because it can be quite pricey, and as a student Iâ€™m pretty frugal! However, the REEL cinema is considerably cheaper than most cinemas. A student ticket is Â£5.30, and even cheaper at just Â£4.50 on a â€˜Super Saverâ€™ Tuesday and Wednesday. Check what films are showing first as there arenâ€™t loads of screens, but they show most of the popular films at the moment. Youâ€™ve probably heard about Caffeine Club from everyone, because it genuinely is where everyone goes. In terms of drinks, there are 2 pint milkshakes, cocktails and their fab coffees. Their food is really good for the price, and it is open 24 hours a day so it is a good spot to go after a night out if youâ€™re hungry. It has a really cute interior design too, and is just a really nice place to catch up with friends or meet before lectures. So thatâ€™s it, my top recommendations of where to go in Plymouth! If anyone visits me, these are the places that I tend to take them. These places always leave them with a good impression of Plymouth! ðŸŒ¤ï¸� Tips for Freshers Week!